We are delighted to introduce ourselves as one of the leading yarn sourcing agent in India, for domestic & overseas buyers dealing in all types of yarn and fabrics. We are indenting agents of various spinning mills and OE Mills in India supplying materials to domestic markets across India. As veterans in the field, we are best known for providing the finest quality yarn and services at reasonable prices through our strong contacts and continued demand. We very well comprehend & are aware about the working dynamics of the yarn industry and their markets in India. There is a huge scope and potential of tapped and untapped markets in India and across. As a market agent our role defines to fetching the best products at most reasonable prices to suit business needs and demands. Besides, we also provide advisories on market feel and behaviour (pro or against) that can have an effect on the numbers, through continuous engagements ensuring that best & unmatched services are offered. The founder of Mankameshwar Textiles, Mr NK Agarwal is indeed an influencer when it comes to market updates and study, in the domestic circle. He is very active in sharing crucial updates related to the industry. The company, Mankameshwar Textiles is based out of Kanpur (Uttar Pradesh, India). The primary promoters are Mr NK Agarwal and Mr Aditya Agarwal. Back in 1997, Mr Agarwal envisaged that there was an underlying opportunity to provide systematic and superior level of services in the area of sourcing textile products. A business opportunity and model where yarn sourcing agents will serve as a platform to bridge communication and provide end-to-end solutions to manufacturers was realised. This is when Mankameshwar Textiles was founded. 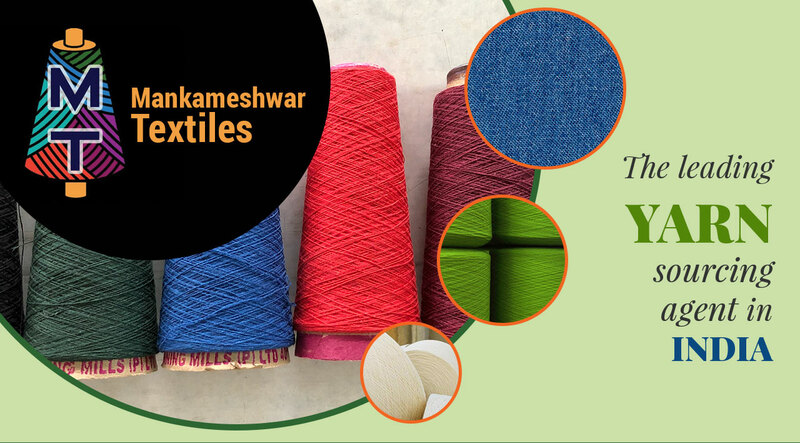 There was a huge gap in terms of expectation and delivery; ergo an innovative approach to streamline the process of yarn sourcing agents & for suppliers to penetrate and establish markets in India & Globally, Mankameshwar Textiles took to the industry.